Galentine’s Day is just around the corner, and there are so many ways to celebrate the true loves of your lives: your girlfriends. 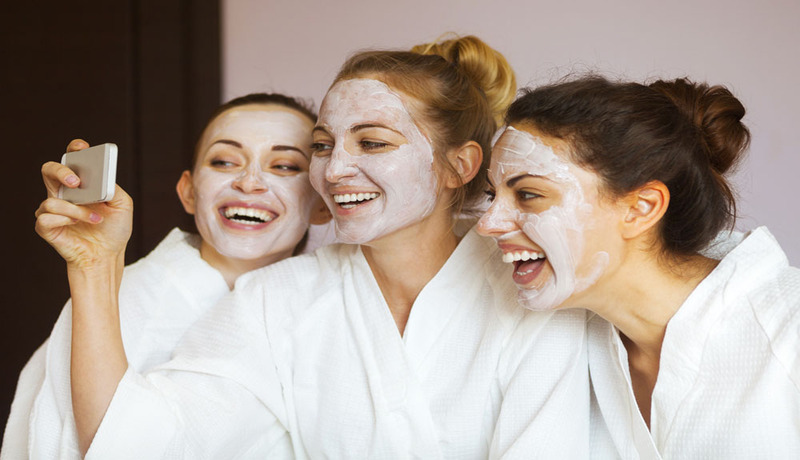 Whether you decide to stay in and celebrate in low-key fashion or go out and tear up the town, you want to make sure this year’s Galentine’s Day is one to remember! This one is perfect because it works for those girls who want to stay in, but it’s also a great reason to go out, as well! Pamper yourself from your fingers to your toes with a poppin’ pink or red polish, after soaking your fingers and toes in a luxurious lavender bath. If you’re staying in, consider adding some libations to make the time spent together extra fun. This year’s Galentine’s Day falls on a Wednesday, which is the perfect excuse to indulge in a wine tasting. Book a winery tour and cruise around your favorite town, having your chauffer stop at the most lavish wineries around. Consider staying in and making a wine tasting of your own. Each lady can bring her favorite bottle and serve cute, gal’s only wine flights. Another stay in or go out option is a movie marathon. Stock up on your favorite snacks and hit the town for a double feature, or stay in and watch your favorite girl power flicks. Mean Girls or Legally Blonde, anyone? You can also class things up a bit by attending an opera or a theater performance, instead. Do you literally ever need an occasion to get all dressed up with your girlfriends, anyway? You’ve seen Thelma and Louise a million times, why not take a road trip of your own (girls only and with way less drama.) Get a map and your favorite ladies together and hit the road. Head to a park, the mountains, or a beach and bring a lunch. Stock up on snacks and the perfect ladies only playlist before spending a few hours with your besties. What better way to catch up while seeing the country. Who doesn’t love a good whodunit? Either go to a dinner mystery theater with your best girlfriends or get really crafty and host one of your own! If you go the DIY route, you can have extra fun by planning the murder, planting the weapon, and piecing together the different suspects. You can even pick your own theme. With a little bit of planning (and a little bit of wine), you’ll have your own version of Clue playing out in your living room and be responsible for putting on the Galantine’s of the century. At the end of the day, rest assured that your Galentine’s Day plans will be perfect as long as you have your closest girls by your side.